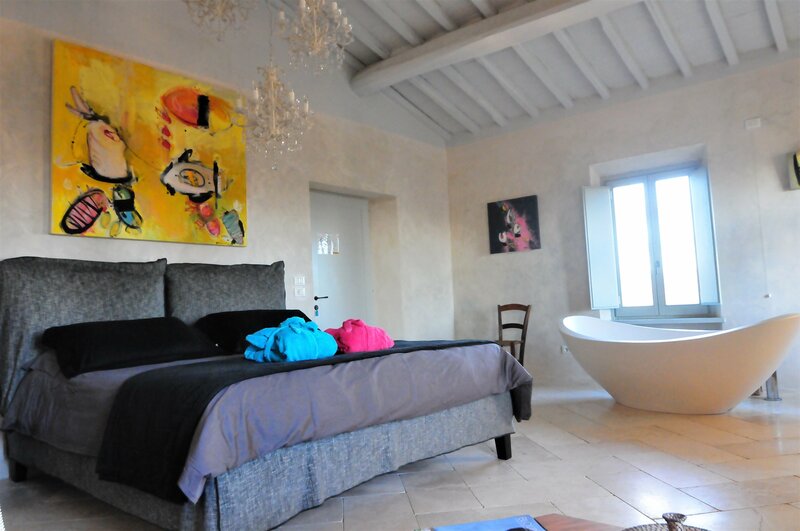 Perfect for a Winter stay! 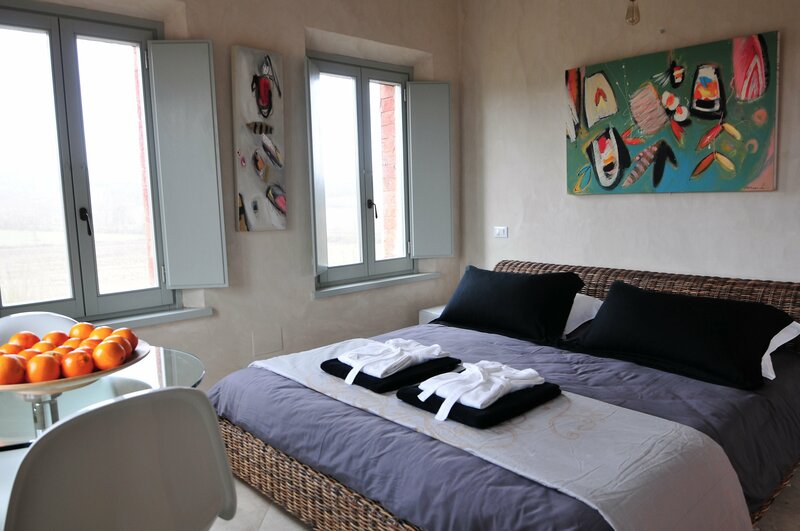 Siena House is now open earlier in the year, starting from February 20. 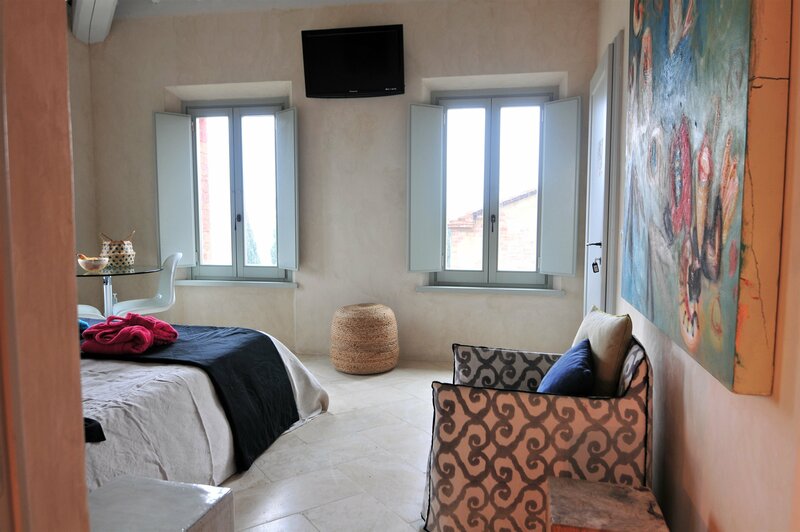 Where could be more comfortable for a Winter stay in Tuscany? 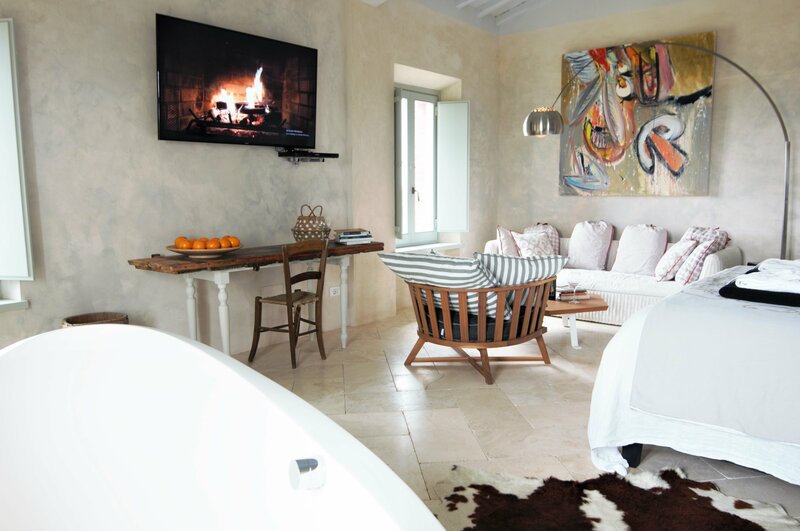 Last Winter we began to renew the rooms somewhat hand painting lime powder pigment to the walls and adding some gorgeous new pieces of furniture. 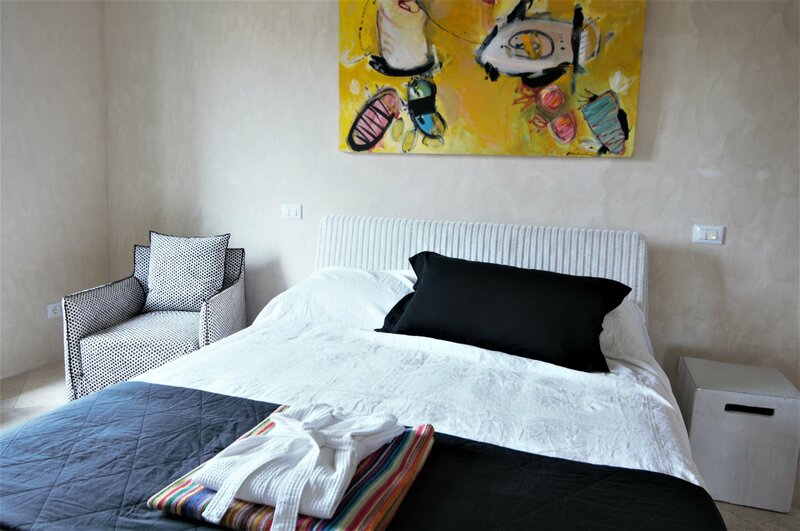 This Winter the work on decor, composition and lighting continues: Pienza gets new art & lighting, Florence and Cortona both get new lighting and a new King size bed. …And a new bed ! 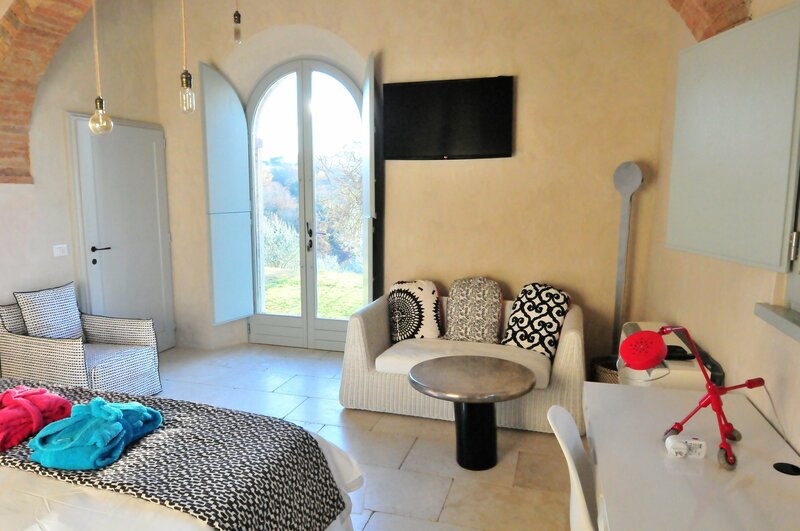 Florence Room goes King Size ! 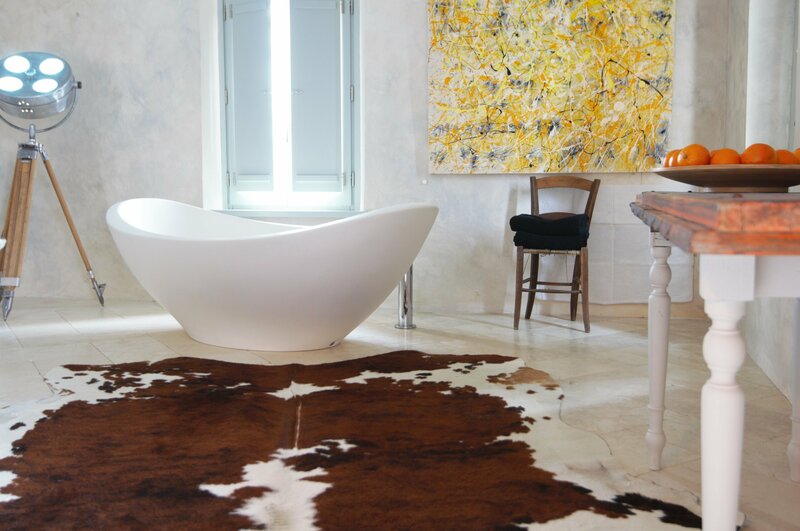 90m2 and so glamorous ! 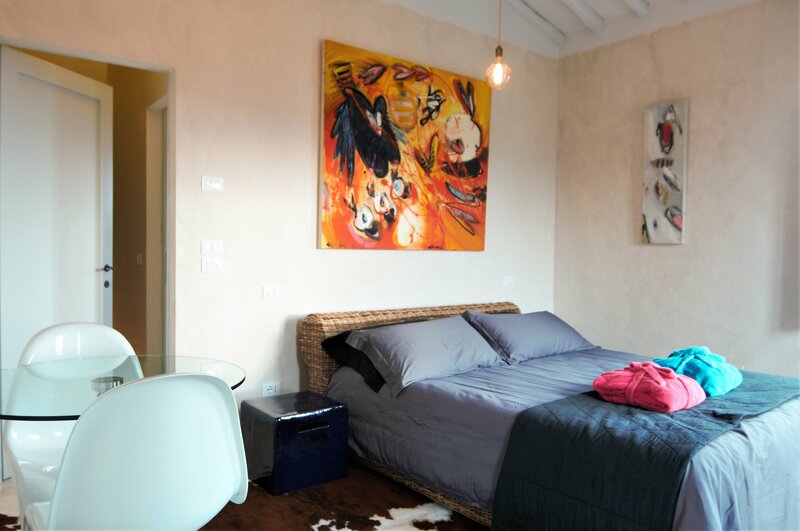 Definitely not a hotel, Siena House is the Tuscan Home of a Wall Street Trader and an Artist. 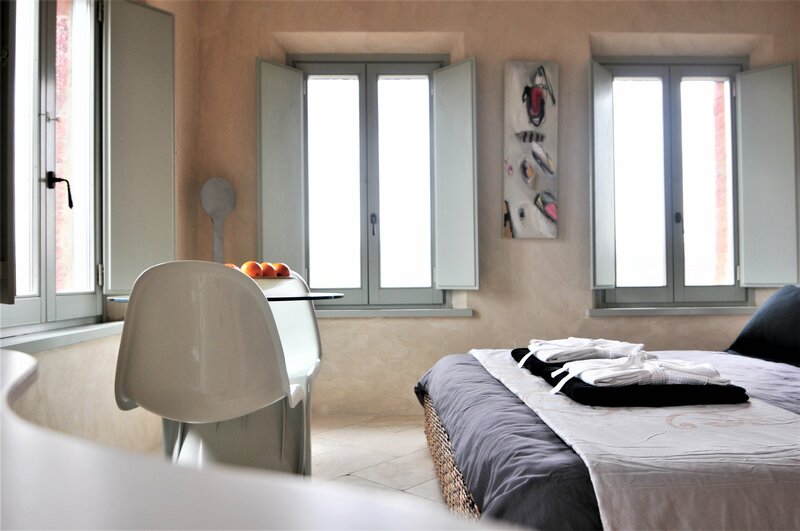 More serviced than a Villa Rental, more homely than a hotel, the property is ideal for both Villa and B&B stays. 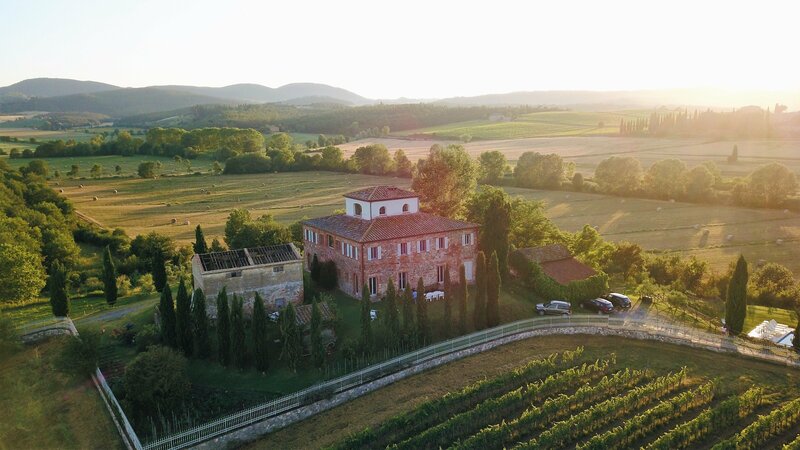 Come home to Tuscany. 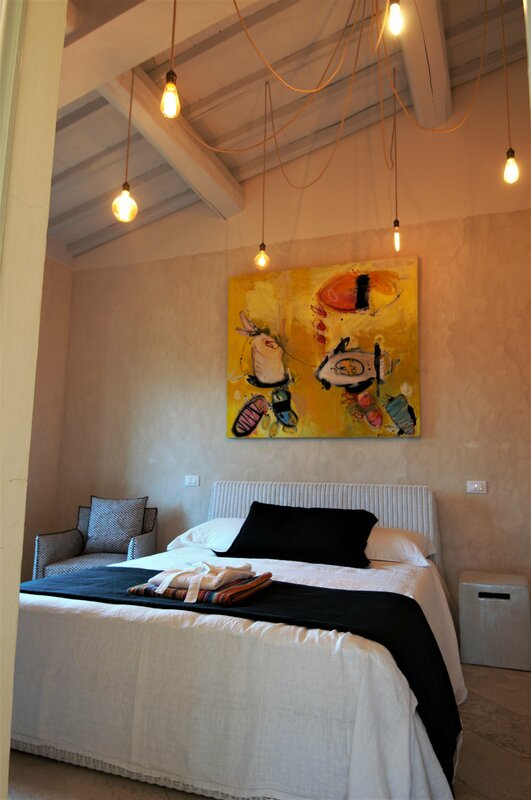 For lovers of Art, Design & Tuscany: Siena House.